Welcome to the University of Wisconsin-Extension Crop Irrigation Website. This website has resources that can help growers better understand crop irrigation. Growers in Wisconsin irrigate about 473,000 acres of potato, vegetable, field, fruit, turf and nursery crops each year to ensure profitable crop production. Irrigation improves both crop yield and quality. Successful irrigation management uses a combination of rainfall and applied water to conserve energy, reduce cost and protect groundwater. Most of the areas in Wisconsin that are under sprinkler irrigation have sandy soils and groundwater that is close to the surface, so the potential for groundwater contamination by nitrates and pesticides is high. Over-irrigation and excessive or untimely rains can add more water than crops can use or soil can store. The excess water moves past the root zone (leaches) carrying nitrates and pesticides into groundwater. Find resources about crop irrigation on this website. 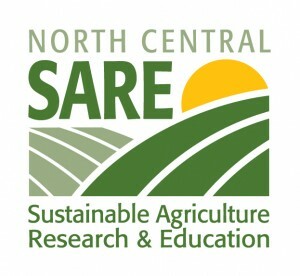 This material is based upon work that is supported from the Sustainable Agriculture Research and Education (SARE) program, funded by the National Institute of Food and Agriculture, U.S. Department of Agriculture (NIFA-USDA). Any opinions, findings, conclusions, or recommendations expressed in this material are those of the author(s) and do not necessarily reflect the view of SARE or the U.S. Department of Agriculture. U.S. Department of Agriculture is an equal opportunity provider and employer.